My husband is my biggest fan in the kitchen. He loves almost everything I cook, and when he doesn’t love something he’ll still eat it and say, “But I appreciate that you cooked it.” However, he will not eat my cornbread. This is clear evidence that our taste buds are profoundly affected by memory and what we grew up eating just as much as actual taste. David likes cornbread from a box—the kind where you just add an egg and some milk. Not even buttermilk. To me, those little corn muffins have the texture of sand. They’re too crumbly, dry and worst of all…sweet. And herein lies the crux of the great cornbread debate in our household, and further evidence of the fact that “how you were raised” trumps taste: I do not like sweet cornbread. My mama does not cook sweet cornbread, my grandmothers never cooked sweet cornbread, my sister does not cook sweet cornbread—that’s just not the way our family likes it. But David likes everything sweet, and I suspect he inherited that preference from MawMaw, his mother, who was also partial to sweet tastes. She even put sugar on her baked sweet potato. 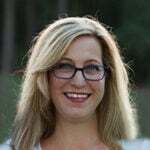 Speaking of MawMaw, whom I loved dearly, here’s a bit of advice on marital harmony called The Jiffy Rule: don’t try to convince your spouse that something he or she has eaten and enjoyed forever is wrong or that the way you like it is better. You will not win that argument. Above all, don’t say anything about his mama or her cooking abilities. Just buy the box and make two batches of cornbread. 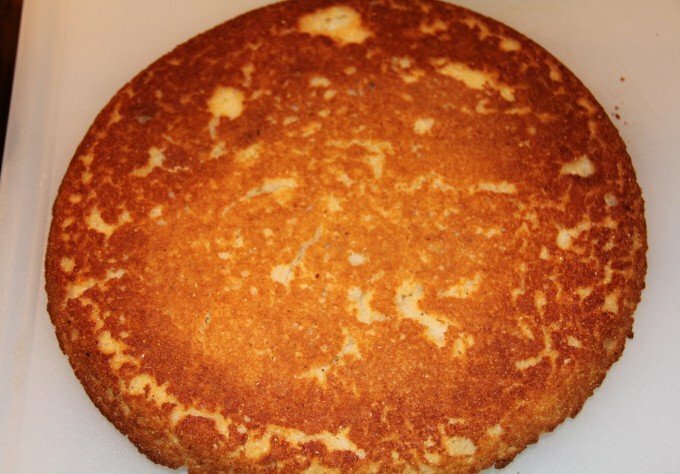 To make my skillet cornbread, all you need is self-rising cornmeal, preferably white, and a little flour, bacon grease or shortening, buttermilk and an egg. And a pinch of soda. Place the bacon grease or shortening in the skillet and pop it in the oven while it’s preheating. Keep an eye on that skillet so you don’t start a fire, and once the grease has melted, remove the skillet from the oven. 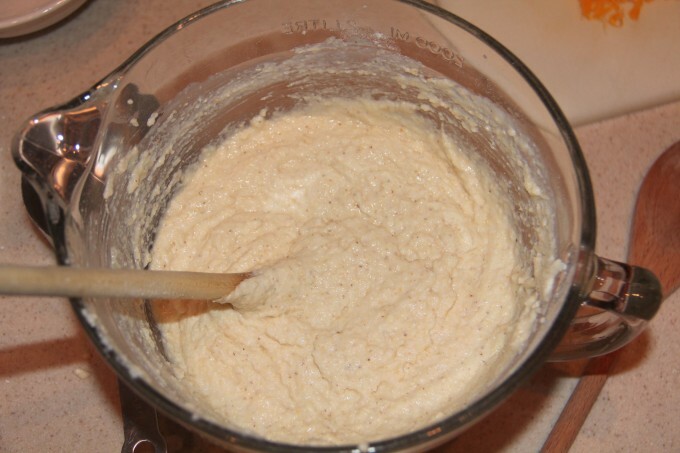 Mix the cornmeal, flour and baking soda in a large bowl, then add buttermilk and one large egg. Once this is mixed, pour in a good portion of the melted bacon grease, but make sure you leave enough in the skillet to coat the bottom, about a tablespoon. 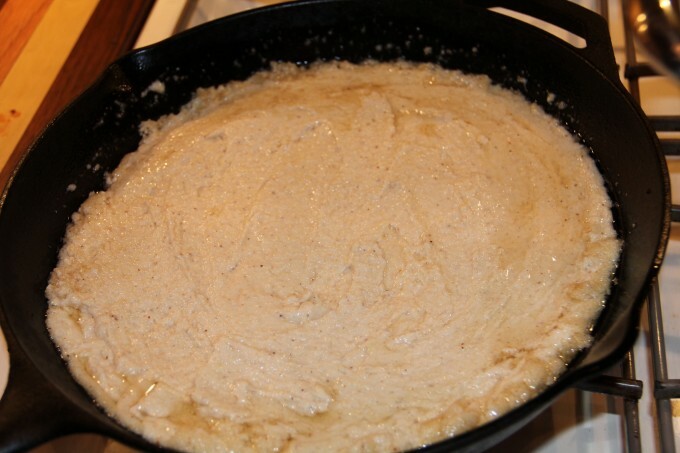 Stir the bacon grease into the batter and then pour it into the hot skillet. Note: I have a 10 1/2-inch cast iron skillet and a 12-inch cast iron skillet and this recipe works fine in either one. Obviously, the cornbread will be thinner in a 12-inch, but that’s usually how I cook it if I’m making dressing. If you don’t have a cast iron skillet, well, then you need to go purchase one. In lieu of that, you can use a baking dish or even a muffin pan, although you’ll miss out on the lovely crustiness derived from the hot iron. Bake cornbread for about 20 minutes until it’s a nice, golden brown. 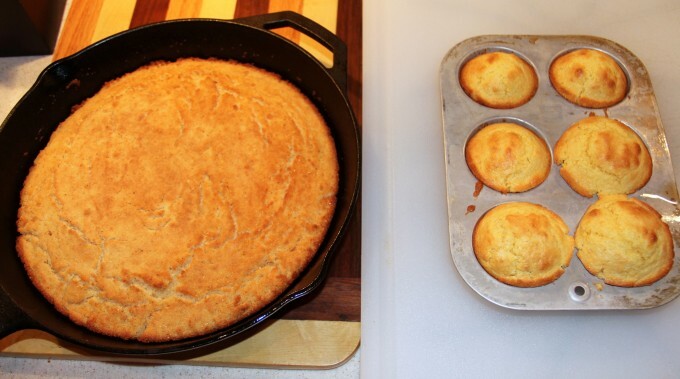 Remove the skillet from the oven and turn the cornbread out onto a platter. Yum! It smells so inviting…toasty warm with a roasted corn smell. Grab some butter and have a piece while it’s hot. A basic cornbread recipe perfect for soup or to serve alongside any meal. Preheat oven to 450. Place skillet in the oven to preheat. 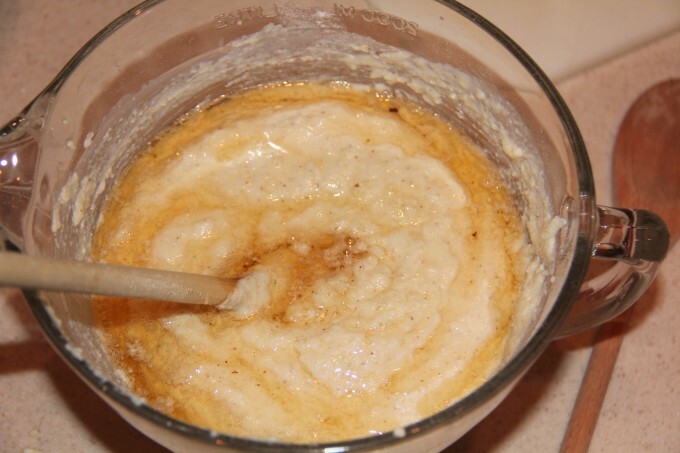 Whisk together cornmeal, flour and soda. 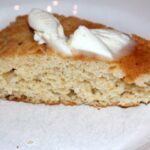 (If using plain cornmeal, stir in 11 teaspoon baking powder, 1 teaspoon baking soda, and 1/2 teaspoon salt.) Add buttermilk and egg and stir until well mixed. Remove hot skillet from oven and put the bacon grease or shortening and butter in the skillet. Place skillet back in oven for a few minutes until butter is melted and grease is hot. Watch carefully and don't let it start smoking! When grease is hot, pour into the batter, leaving about a tablespoon of hot oil in the skillet. Stir to mix well and then pour the batter into the hot skillet. Bake 20-25 minutes until golden brown on top. 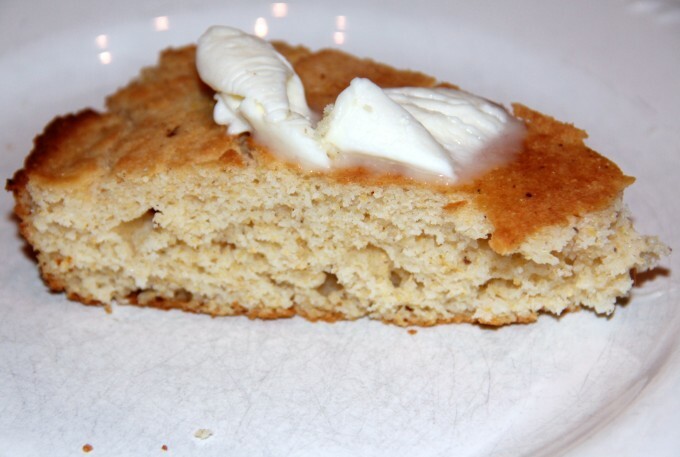 Remove skillet from oven and turn cornbread out onto platter. Sorry to the husband…Yours is definitely my kinda cornbread! I know, right? How does he call himself a Southerner when he wants sweet cornbread?! It just ain’t right!